The Comité de Reconstrucción y Desarrollo Económico Social de Comunidades de Suchitoto, Cuscatlán (CRC) began helping displaced population affected by the El Salvadoran civil war in 1987. In post-conflict years, the union has worked in 32 of the 78 communities of Suchitoto Municipality. In 2002, the IAF awarded CRC $392,195; other donors contributed $76,009; and CRC committed $41,802. The goals were environmental recovery, further local development, the creation of a marketing business and increased income for 2,950 residents in ten rural communities. Change was already well underway in 2002 when CRC received an IAF award. For more than a decade, local and central governments in El Salvador had emphasized greater civic engagement and awareness as an effective way to address community needs. Most residents did not have civic participation experience, however. Results were collected and analyzed using the Grassroots Development Framework (GDF). The GDF measures results at the individual or family, the organization or grantee partner and the society or community. CRC trained 2,450 persons in project administration, credit committee work and environmental topics. As an organization, CRC gained a political, economic and social role in the municipality. The creation of a credit and business committee, with four community representatives and a member of CRC’s board, facilitated collective input purchases and timely credit for farmers. Also, a Local Development Council (LDC) was created, where local development ideas were identified and then presented through a councilperson for funding, as residents do not have a voice in the municipal council. The LDC is important, as historically residents just listened, and most representation was through unions. Residents now work on diversified farms with yucca, tomatoes, watermelons and other plants of short and longer harvest times to use for food and income. The new farming practice was difficult for some residents who had spent years in refugee camps. Guidebooks continue to help farmers control plant diseases, and 84 model farms are still operating. A system of monthly workshops became more practical through exchanges with other communities working on organic produce or vegetable marketing. Results of environmental preservation activities include retention walls and other means to prevent erosion, live fences, agroforestry practices, and the maintenance of small forests in some communal areas. There is more environmental consciousness and less erosion, burning of fields and deforestation. Lorena stoves conserve wood. Organized residents monitored municipality road building and maintained secondary roads to their communities, in order to facilitate marketing. With the support of local government officials, CRC achieved more than members had planned in civic participation. Communities continue identifying local development priorities and getting funding from municipal budgets. 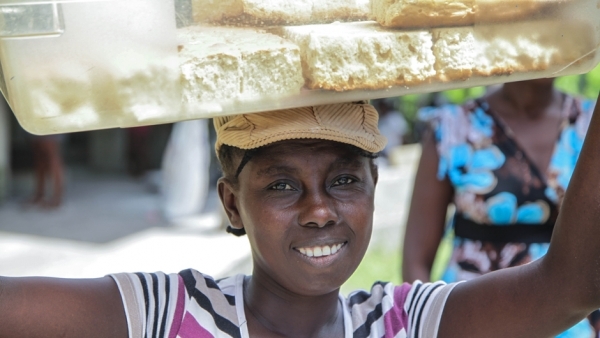 CRC changed residents’ micro credit culture; they now have access to a micro loan when needed. The micro credit fund went from $46,480 in 2002, to $52,201 in 2007 when the IAF funding ended, to $67,000 at the time of this evaluation. CRC members practiced reaching agreement on priorities. Despite insufficient funds for a marketing business, the group formed a credit and business committee and built storage facilities, so they could wait to sell at better prices. Successful environmental activities were adopted by a larger project funded by El Salvador’s Environmental Fund (FONAES). Communities continue to be aware of environmental threats, and preservation practices are maintained. Communities have access to micro loans. The micro loan fund that was initially seen as from outsiders, it is now viewed as a community asset. Because of this cultural change, the default rate has been reduced to a minimum. 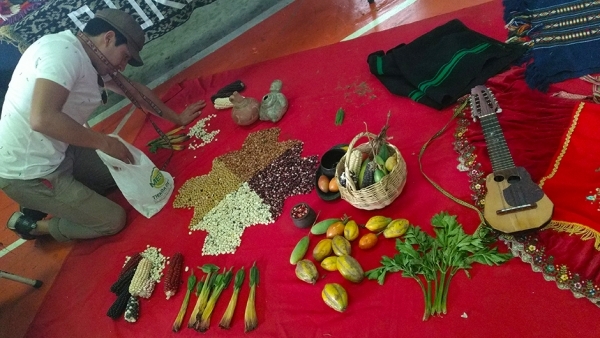 CRC in Suchitoto is a reputable community organization. Local government officials consult with them for decisions on sustainability and local development initiatives. Local government officials routinely work with CRC and its communities of influence to access the Fund for Municipal Economic and Social Development (FODES). In 2014 FODES funding was eight percent of the national budget. There is increased transparency and access to information on public spending. Residents can go through the mayor’s office, as this is now a yearly practice for the mayor, or hold discussions in the town council or through town councilors. For community projects there is a requirement that workers are contracted from the community, so the community is made aware of public spending. Residents make suggestions on project management, as they are aware the public funds are theirs. The Housing Ministry is fiscally transparent, and the mayor’s office of Suchitoto has an information office and website to share public information. Training resulted in residents more knowledgeable about their rights and obligations. Now instead of hopping on a bus for an announced march, they ask why there is a march and decide whether attending is in their interests. Associations know it is important to distinguish themselves from political parties. Residents seek leaders who aim to serve the public. CRC became stronger as a union, and groups of women and indigenous people gained skills and improved operations. The revolving credit fund and its governing committee continues. Overall, despite some stagnant periods, participation increases when common needs arise. Residents emphasized that civic participation continues, whether or not there are changes in local government officials, to plan and work towards common goals. They see the necessity for community members to be active citizens, continue identifying their needs and solving their own problems. CRC and community leaders feel they can protest and have a voice to continue projects or other policies. A challenge may come with the 2015 electoral code reforms in El Salvador which contemplate multiparty town councils in municipal governments, to help political parties commit to civic participation and not just seek election. Currently, there are regular Friday’s meetings with the mayor. While these meetings can be difficult with more communities attending, at most times unanimous decisions are made and, if not, there is a majority vote. CRC built trust and confidence among the organization and community member through training and discussions that had them practice consensus building. Members also learned to participate actively and democratically in decision making, which fed into civic impact. Residents’ organizational skills and discipline, acquired in refugee camps in Honduras, led to an effective collaboration between local government officials and community members for road improvement and maintenance at first, and then to a broader citizen’s involvement in events, such as town hall meetings and debate on the municipal budget, organized by local officials. The municipal government staff became aware of what could be achieved working together. Residents use their fuel-saving stoves, diversified farms and practice erosion control measures. Residents prioritized environmental efforts because they saw the destruction of the war, the effects of erosion, and disappearance of trees. The market study and effort at better market access failed, partly because funds limited the development of a marketing business and no business plan was made. Therefore, incomes did not increase as much as planned. With basic needs largely met, CRC struggles to engage young people in local development activities. This is a threat to a sustained and active committee. Political parties remain apprehensive of civic engagement. New training may address the inclusion of young people to acquire leadership skills and more involvement in public service instead of acting simply for personal gain. There is a need for continued engagement of politicians with community organizations and councils. An effective collaboration between local government officials and civic organizations allows for the identification of local development priorities and public funds access to implement them. Small beginnings such as working together on road improvements and similar activities created an opportunity for local residents, groups and the local government officials to build a solid partnership for local development. Training both base groups and government officials reinforced civic engagement. The change in the credit culture hand-in-hand with the training methodologies strengthened protagonism and reduced aid dependence. CRC aspires to create a school for democratic education and inclusion of young residents. Civil participation is not automatic and requires people know rights, participate and have protagonists in each community.